It was already a few years ago that the number of mobile views by websites have surpassed those from desktop and there’s no sign of this trend waning anytime soon. 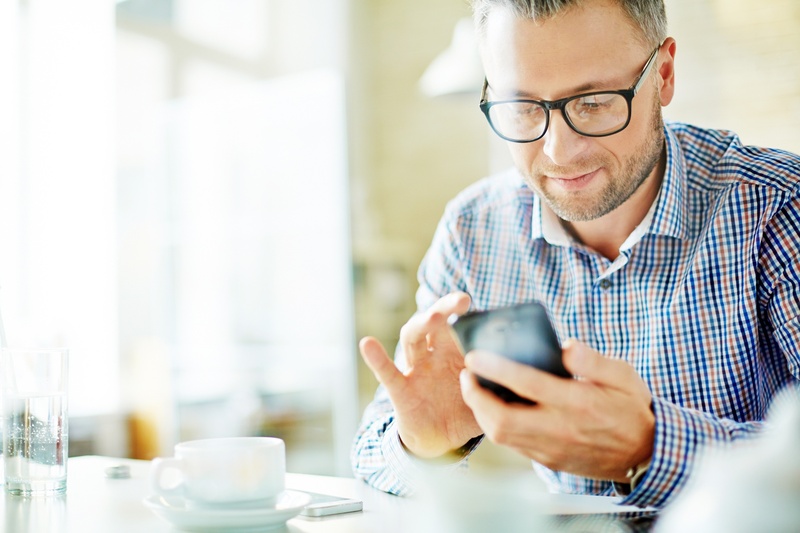 Are you interested in improving your call center's mobile customer engagement? Click here to learn more with a Live Demo with us! Customers today rarely use a landline to call for support. It’s highly likely they will reach out to you from their mobile phones. In fact, the number of landline calls was surpassed by mobile a long time ago in 2011. This can’t be ignored especially by call centers. With customers’ preferences geared towards using mobile phones, contact centers must cater to their needs and find better ways to serve the mobile-using customer. With practically everyone owning a smartphone these days, you should expect that not everyone who will engage with your contact center will do so through calls. Through mobile phones today, people do video chat, text chat, voice chats, send voice messages and attachments, access websites and use apps. As a modern call center, you should cater to the preferences of your customers. Mobiles give customers the power to interact with call centers in a variety of channels. You need to make sure that you can be reached throughout the various channels offered by mobile. Otherwise, you risk being unreachable and you may incur a negative perception from them. It may be difficult to juggle multiple channels at once, but through software solutions, you can integrate all these channels and manage them in one platform designed for customer engagement. To illustrate this point, let’s take an example using two different call centers, a traditional call center that focuses on voice calls and a next generation contact centerthat uses an integrated customer engagement platform to manage multiple points of contact. For the traditional call center to be reached, they have to look for the customer support hotline in the company’s contact us page and make the call. Contacting them over the phone is the only way the traditional call center provides support. Now let’s look at the next generation call center and how customers reach them. A customer can simply go into any page in the website and can choose whether to open a chat conversation, click on the call-to-action that requests a customer support agent to call you or they can go old school and visit the contact us page to get the number for a call. The customer doesn’t even have to do anything sometimes since the website is equipped with an automatic popup chat initiated by the customer service agent who starts the conversation first. If you have an app, and a capable customer engagement platform, you can integrate your customer support channels in your app, so your customers don’t even have to take the trouble of visiting your website from the app. They can just do it right there. Through its multi-channel strategy that embraces mobile customer engagement the next generation call center is never more than a few seconds away from its customers. Call center customers have evolved from the days when support calls come from purely landline phone calls or emails. The extensive use of mobile has vastly expanded the number of possible communication channels that customers use. While there’s no doubt that putting emphasis on mobile customer engagement is important for today’s call centers, the more important question is “how”. Juggling multiple communication channels is challenging. Rather than keeping many siloed applications, you need one integrated platform to manage your multi-channel customer engagement.